Prepare yourself for the colourful world of Cash Drop: an engaging 5-reel, a 20-payline slot provided by Openbet, which will overturn your expectations for classic slots by showing you how many different surprising features you can enjoy. You can also benefit from a remarkable 95.16% RTP and an amazing progressive Jackpot! The main peculiarities you can notice at first glance are the unusual look of the reels and the multiplicity of colours that characterize every symbol. Indeed, the reels 1, 3 and 5 have four positions, while the reels 2 and 4 just have three of them. The symbols – 9 in total – are a mix between fruit and classic slot icons. Cherries, lemons, watermelons and grapes, but also a golden bell, a Bar symbol and two different Lucky Sevens will activate the winning lines and help you triggering the colourful and fun “Reactions”. Cash Drop is also a progressive Jackpot slot, which means that every single spin made by players contribute to increase progressively the overall Jackpot! Keep reading to discover how to bring home a ridiculous huge Jackpot, even with a minimum bet of € 0.01 per line! There are two main special features that we have to bear in mind while playing Cash Drop. As mentioned, this video slot gives you the chance to win an enormous Jackpot, increased progressively bet by a bet from all the players. The chances for you to grab it do not depend on the amount of your bet; the only thing you have to do is to find 3 or more Jackpot Symbols – a yellow Lucky Seven with eyes – anywhere on the screen. This symbol acts like a Scatter, so you do not need to activate any combination, just find them on the reels and get the prize! You will get the MINI, MIDI or MAXI Jackpot when 3, 4 or 5 Jackpot Symbols land on the reels respectively. The other enjoyable feature of the game is called Reaction. Every symbol in Cash Drop is surrounded by a colourful border: it can be red, blue or yellow. 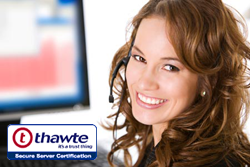 In order for you to activate a Reaction, five symbols on the same pay-line – even if they do not match – have to have the same border colour. If it happens, all the symbols involved disappear and are replaced by new golden icons bringing a 2x multiplier which affects any new combination formed by the Reaction! All the symbols in Cash Drop can make you win an interesting amount of money, from the Cherries (up to 50x for 5-of-a-kind) up to the red Lucky Seven (up to 1000x for 5-of-a-kind). It is important to remember that every bet is multiplied by the number of lines (20), but the good payouts, the 2x multiplier of the Reactions and the 3 different progressive Jackpots available will certainly make Cash Drop a worthwhile video slot to try your luck with. The overall look is quite uncommon and the first difference from other slots – as described previously – is that not all the reels have the same number of positions for the symbols. In addition, each symbol is inside a hexagonal frame, surrounded by a red, blue or yellow border. Generally, the colours used by the designers are vivid and make the player feel a sense of dynamism and vivacity. 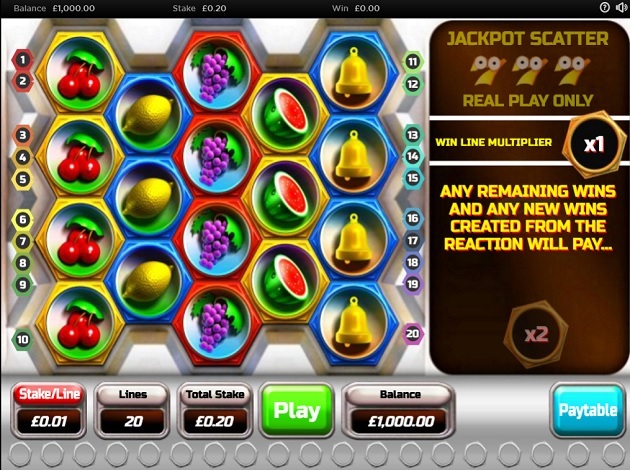 All the reels take up the centre-left part of the screen, while on the right side there is a box showing the main info needed, such as the multipliers won or the payout of the line you have just triggered. On the bottom part of the screen, there are some frames showing your winnings, your total stake and the number of lines. Furthermore, you will find some buttons that help you customize your experience, like Stake/Line, AutoPlay, Paytable and, of course, Play. In spite of its classic taste, Cash Drop can offer a very good experience to the players, thanks to the simple concept and structure behind it, that make it extremely user-friendly. However, at the same time, the several symbols available, the progressive Jackpots and the original Reaction mode – with its colours and features – make it an intriguing and never boring slot. Its 95.16% RTP is undoubtedly another great benefit for players and we are sure that, once tried, you will play this game for a very long time. Do not hesitate then and go for the best “reaction”: play Cash Drop now at VideoSlots.com! OpenBet is a company founded back in 1996 which powers today the biggest share in the world´s online bets with global and international software development in multiple, key gaming jurisdictions. The company has six offices worldwide, including North America, Australia, Singapore and London to name a few. It is a company providing an open gaming platform and a product suite and portfolio that can ensure the best, highest performing, and most flexible solutions online. Openbet has a lot of focused, goals, and aims – but one of the most important is to keep the innovation and technological excellence close to heart, no matter what they are producing. All the Openbet games available at Videoslots.com are offering splendidly made graphics, innovative features and designs, as well as interesting and alluring themes for all to be able to enjoy.